Here is this year’s shortlist for the annual Short Fiction short story prize. Winner and runner-up will be announced in May. Congrats to all! I had a fascinating two weeks at the beginning of April as a Bright Ideas fellow at the Genomics Forum in Edinburgh, which coincided with the Edinburgh International Science Festival. I could tell you it wasn't what I expected, but to be honest, I had no idea what to expect! On the day I arrived, I was shown my own office space, which was a first for me, a quiet room I could use to write in. And then I was swiftly invited to a conference that afternoon – organised by Gengage and supported by the Forum - on Sudden Cardiac Death in the Young. And the winner of a copy of Jen Campbell's book, Weird Things Customers Say in Bookshop is... Dan Purdue! Congrats, Dan! Writing flash fiction - that's me! Download the workshops brochure or visit the website for more info. This festival is one of the greatest lit fests I have ever been to - a must for all short story lovers, writers, readers, fans of fabulous writing! It's such fun... the full programme - with writers from Canada, the US, the Phillipines and the UK - hasn't been released yet but I'm getting pretty excited about Lydia Davis, who is flying in from the US to do a reading. I'm such a fan of her often very very short stories - you can read my review of her Collected Stories here. There's a bit of a flash fiction theme going on at the festival this year - there'll be a panel discussion provocatively entitled Is Flash Fiction a true Literary Art Form or just something for chancers? You can imagine how I might vote on that question! The workshops have limited space so do book soon. If you're coming to flash with me, I look forward to meeting you! So what is this all about? Well, I don't often laugh out loud while reading a book. It is rare indeed. 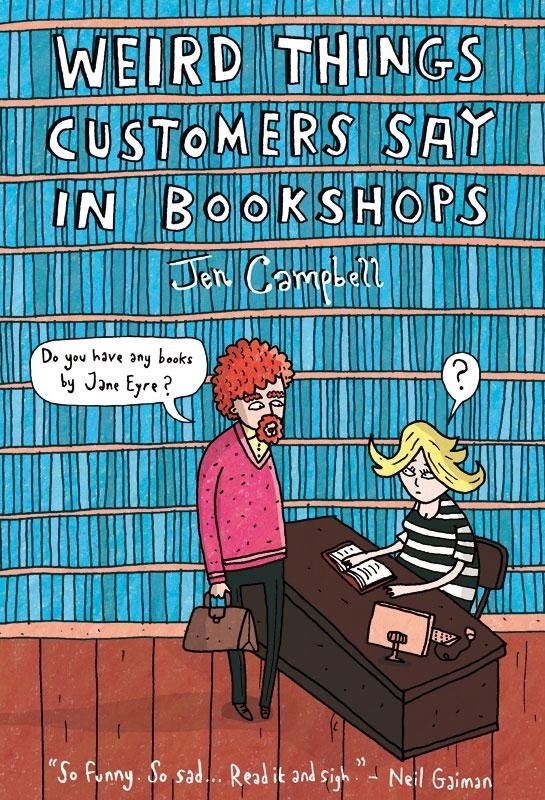 But Jen Campbell's fantastic Weird Things Customers Say in Bookshops, published a few weeks ago by Constable, had me chuckling, giggling, and interrupting J's reading to make him listen! It is exactly as it says, a collection of some of the weirdest things said to Jen and to other booksellers in bookshops. This is clearly a very good idea for a book - Jen's been interviewed on Radio 4's Open Book program and got lovely mentions in the Guardian and the Daily Telegraph newspapers here in the UK. Tania: Your book made me seriously question the sanity of many members of the public. It might almost been seen as a philosophical tract about sense versus nonsense, or a scientific work about the bizarre workings of the human brain. Did you feel you learned anything about the human condition from all these interactions? Jen: Being able to share these moments, first on my blog, and now as a longer collection in book form is, I guess, my open 'WTF?' question to the world. The fact that the blog posts made their way quickly across Twitter, and made people giggle, validated my own sanity, which I found myself questioning at times when the oddest things that were said to me. You know, doing a double take and inwardly saying to myself: "There is no map of Atlantis... I definitely don't have a book that forecasts the weather for the rest of the year... no, books are not edible... nor do they conduct electricity... and, no, this is not Hampstead Heath; this is a bookshop." customer: I do find it odd that people manage to make a living out of writing books for children. I’m sure any mother could do it. bookseller: Why don’t you try it yourself? customer: I always mean to, but I’m very busy right now with my pottery class. T: It's really funny to read - but how did all this make you feel at the time? Especially as a writer yourself, what did you learn from these interactions as to how people interact with books and the book trade? J: Some of it made me blink and do a double take. Some quotes are funny, and were at the time. There were rude things said to me, which aren't included in the book [my decision] but were included in the blog posts which definitely were not funny. However, the quotes that reoccur quite frequently - price-checking on iphones; people calling up the bookshp for advice on books and then saying they'll go and buy the book on Amazon; one person who thought that all independents were owned by Waterstone's - these definitely show that, for some, there is a lack of understanding when it comes to the book trade. A lot of people forget how many people have to be paid for the production of just one book [editors, writer, illustrator, designers, production, marketing, an agent, wholesaler, and then the bookshops who have to pay rent, staff, business rates etc], and think that £7.99 for a paperback is too much. It's not a massive sum; it's less than the price of a cinema ticket or a take-away, and a book can change your life. Sounds corny, but it's true. I love a good curry as much as the next person, but one tikka masala's probably not going to change my outlook on life. Also, the big one: "It must be lovely working in a bookshop; you get to read all day." *sigh* I wish I had a penny for every time this was said to me. T: I loved your section at the end with quotes from other booksellers, do you think there's something about a bookshop that leads to this kind of craziness? How do you try and explain it? J: I think anyone who has worked in retail has weird stories to tell. Bookshops in particular - especially antiquarian ones - seem to attract odd requests. Perhaps because, in the case of the latter, the books are old, read long ago and we associate memories with them that perhaps don't make sense to us, so when we try and describe a book to someone else it comes out sounding a little odd. But that only accounts for 1% of the strange requests and those are understandable - what's not is when someone might say they read a book and it was blue, and they were three, and truly expect you to know which book they mean. Sometimes I can find these books, and those are amazing moments, but normally with a little bit more to go on than just one colour. I don't think I can try and explain the international nature of Weird Things... - I've no idea. But at least it makes us giggle. bookseller: Can I help at all? customer: Yes, where’s your fiction section? bookseller: It starts over on the far wall. Are you looking for anything in particular? customer: Yes, any books by Stefan Browning. bookseller: I’m not familiar with him, what kind of books has he written? bookshops to see if anyone with my name has written a book. bookseller: . . . right. customer: Because then I can buy it, you see, and carry it around with me and tell everyone that I’ve had a novel published.Then everyone will think I’m really cool, don’t you think? T: As an antidote, what was the most intelligent question or comment you received in a bookshop? J: I don't know about intelligent [there's obviously lots of those, though], but the lovely comments are always nice. I'd say about 80% of the people who walk into Ripping Yarns bookshop [the antiquarian bookshop where I work] say: "Oh, the smell of books is amazing!". Then there are our loyal customers who want to support our bookshops and keep us running which is just fantastic; parents who bring their children along at weekends to read and show them their own favourite books from when they were young. I had a child in last week who looked around the shop with his mouth open, turned to his dad and said: "Bookshops are special places, aren't they, dad?" That sounds pretty intelligent to me. Thank you, Jen! Jen has extremely generously given me a copy of her book to giveaway to one lucky blog reader! So, here's the challenge: What's the weirdest thing you could imagine someone might say to a bookseller? The most creative answer wins the book! Just put your answer in a comment on the post, you have a week, til April 23rd, and then Jen and I will pick a winner! Jen is appearing at Blackwell's bookshop in Oxford this Tues night, April 17th, at 7pm, so if you're in the area, pop by, say hi and buy a book! Find out more on her blog. Yesterday's BBC Radio 4 Afternoon Reading programme which was a recording of me reading my three "Reality Check" science-inspired short short stories is now available to listen to online, until this Friday April 20th. I have to say, I didn't think I'd be able to listen to myself, I thought it would make me cringe, but I really enjoyed it, reliving the live event at the More Than Words festival in March, how much fun it was! I hope you enjoy it too. My Mother Was An Upright Piano... nearly here! Well, it's all kicking off now! I'm delighted to announce that my new collection, published May 3rd, is now available for pre-order! "Funny, fresh, lyrical. These stories are like colorful glass lozenges holding the substance of our everyday lives, sparkled up by the unusual and wondrous." 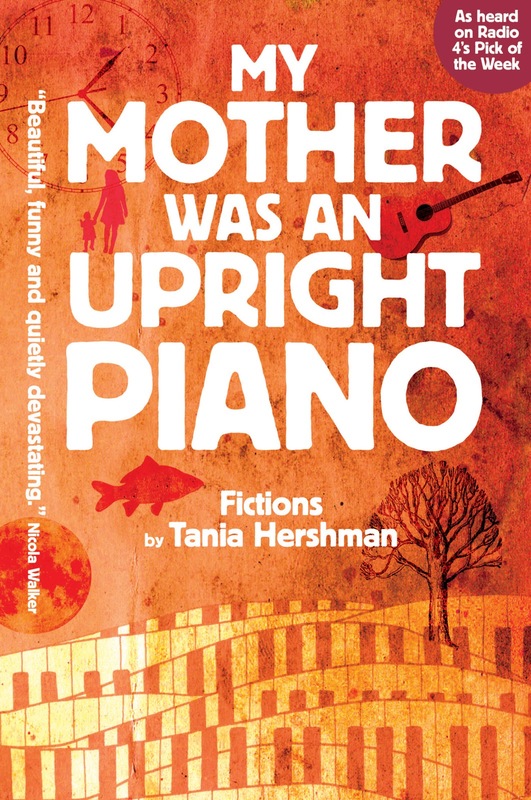 "Tania Hershman writes with such passion and playfulness, the pain and the fear and the hope woven through her stories hits all the harder. The result is beautiful, funny and quietly devastating." 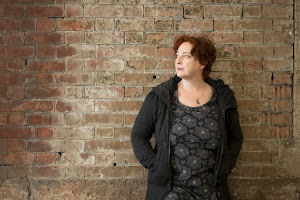 "Tania Hershman makes immaculate tiny stories that punch ten times heavier than their weight, as if a 500 page novel had been ground up and distilled into capsule form. They are so biting and so perfect they seem to hang in the air for moments after you’ve finished reading them, like little prayers. Emotionally wrenching, funny, quirky, and full of condensed wisdom, insight and love, Hershman’s short short stories are whirring, ticking word machines waiting to explode inside you." this earth—I adore her and I adore this book. "Simply superb, and anything but simple, these fictions peel back the layers we build up over our lives with the sharpest of scalpels: the eye of that rare creature - a real writer." Intrigued by the title of the blog post? Good. This is a workshop I'm running on Friday morning as part of the Bright Ideas fellowship I was awarded here at the Genomics Forum which has brought me to Edinburgh for 2 (snowy) weeks. I'm having a wonderful time! Friday is my last day, and this is what I'll be up to. Come along! Creative writing workshop to explore the “human face” of science. Are scientists human? If you rely on television and films to answer this question (e.g. The Big Bang Theory, Fringe, The Fly, Jurassic Park...) you might think the answer is "No". You may believe that all scientists are white-coated madmen (mostly men, yes) who don't experience normal human emotions, and aren't much in touch with the real world. And that science is all about right and wrong, no mess, no failure, just clinical, cut and dried. But if you set foot into a real lab - as has Tania Hershman, writer-in-residence at Bristol University's Science Faculty, and Genomics Forum Bright Ideas Fellow - science may seem to be a completely different world, with its own language (actually, many, many languages, depending on the specific field) and strange tools and practices. But apart from that, the people doing the science on a daily basis are (mostly) just like the rest of us. Anyone interested in exploring the human face of science can join Tania in a creative workshop, where she will share and discuss some of the very short stories written as fruits of her residency, and, through writing exercises, illustrate different ways to take inspiration from science and scientists for fiction - whether it be from lab life, from wonderful scientific words like "lamellipodia" or from scientific concepts. The workshop will take place at 11:30am, Friday 13 April 2012, at the Genomics Forum, St John’s Land, Edinburgh. No previous experience is necessary, and places can be booked via the event’s page on the Eventbrite website. There are still a couple of places left on this - book now and come flash with us! Learn the liberating process of flash fiction writing and add an invaluable tool to your writers’ toolkit, one that will enable you to boost your own creativity when you’re feeling uninspired, bust writers block, and create fresh voices. Using her experience as a science journalist, and as writer-in-residence at Bristol University’s Science faculty, Tania Hershman will bring a sparklingly special scientific note to the days’ proceedings, which added to the somewhat unusual visual art Vanessa Gebbie has in store for you, will make this a fun-packed workshop with a difference – a unique programme to challenge and inspire! Attend this workshop and you could walk away with a supply of new and original work in time to polish for the Brighton Festival Flash Slam on 19 May! Vanessa Gebbie is author of two collections of short and flash fiction: Words from a Glass Bubble and Storm Warning, and was contributing editor of Short Circuit, Guide to the Art of the Short Story (all from Salt Publishing). 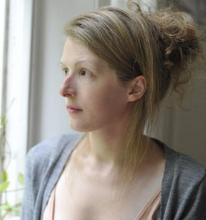 Her debut novel The Coward’s Tale (Bloomsbury) was a Financial Times 2011 Book of the Year. She teaches widely, writes poetry, has collaborated on a stage play and is a dreadful cook. I'm in Edinburgh for 2 weeks- more on that shortly. But in the meantime, what a thrill that my soon-to-be-published second collection, My Mother Was An Upright Piano: Fictions, has been longlisted for the 2012 Frank O'Connor International Short Story Award! As you will see below, it is a looong longlist, because most of the eligible collections make the longlist. Am I despairing in the face of such competition for the €25,000? Nope. I am rejoicing! A few years ago, the longlist had 40 or so books, now it has around 75... so this means either that more short story collections are being published, or that more publishers know about the prize and are submitting - or BOTH, and both those things make me very happy! So, here's the list - an excellent starting point if you're looking to enrich your bookshelves (real or virtual, I must add, as a new Kindle user... aaargh). Many I've not heard of, and I keep both ears to the ground when it comes to short story collections, so I'm delighted. Links are to those we've already reviewed in The Short Review - of anyone wants to offer to review any of the others, please email (editor (at) theshortreview (dot) com)! Good luck to all, shortlist announced in June.